It’s Summer which means (for some like me) Epic make-up meltdowns and make-up landslides in times when you need your make-up to stay put the most! I’m not talking about the beach or festivals but serious business! I’m talking DATING! (okay I have had Fashion Week make-up meltdowns too) The Summer Beauty rules of engagement are quite simple; less is more and to protect but these two are a bit more harder when you are going on a date with a possible mr. Perfect (where you really want to slather on make-up) and are about to have diner and drinks in daylight and yes the full sun! And is it just me or do alcohol+diner+excitement/nerves help to looking like being hit with a sledgehammer after 4 hours or so? Anyway it was time to investigate and to go deep on finding Summer Beauty secrets, these are my favorite tutorials and tips thus far! Lauren’s Beauty secrets are really the 10 commandments when it comes to the Summer! Her tips on priming and going sheer on the foundation are not to mess with! The beauty department hits the nail on the head when it comes to make-up meltdowns! The foundation is often the one to make the slide and the one that needs to stay put! Kristina’s beauty secret post is delicious! The summer glow reached is perfect and I’m really dying to try these! I DEFINITELY Need To Use Some Of These Tips, I Love Light, Summer, Makeup So I’m Gonna Try That Out! I think is important take care with the sun! Nice post! More than anything, I’m oggling at Kayture’s red brush! That’s a delicious looking tool. 😉 Personally, I try to avoid makeup during the summer–stick with the all-natural moisturizers. Best tip is to go easy on the foundation! Thanks for all the suggestions! make-up in summer needs great post like this! Vielleicht magst du ja bei meinem Gewinnspiel mitmachen! Ich verlose derzeit auf meinem Blog von mir handgemachte Schmuckstücke aus meinem Shop! Würde mich freuen, wenn du reinschaust! Great post, thank you for sharing the links. 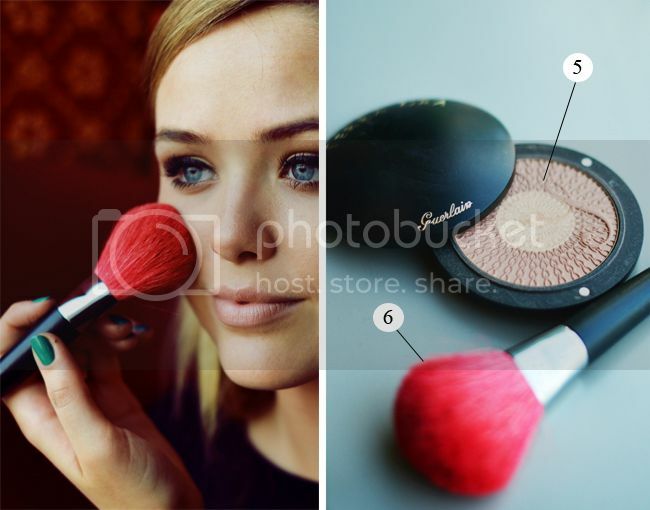 The Beauty Department always has amazing tips and Kristina Bazan of Kayture is gorgeous. Her make-up always looks flawless, so I have no doubt she has quality tips to follow. My wife will definitely love this post. Communicate your feelings to your love partner with Flowers Bouquets. Various kinds of Flowers and Flowers Bouquet are available in our website. Just click at http://www.germanyflowershop.com/FlowersBouquet_To_Germany.asp and send Flowers Bouquet to Germany. Great tips! I love Kristina’s post! !